Brian Cladoosby, Chairman of the Swinomish Indian Tribal Community, was elected to serve as the 21st President of the National Congress of American Indians (NCAI) today in Tulsa, Oklahoma. NCAI, founded in 1944, is the oldest, largest and most representative American Indian and Alaska Native organization serving the broad interests of tribal governments and communities. 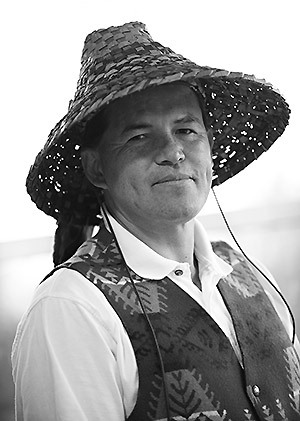 Cladoosby has served on the Swinomish Indian Senate for 29 years and as the Chairman of the Swinomish Tribe for 17 years. He previously served as President of the Affiliated Tribes of Northwest Indians, representing 57 tribes in seven Northwest States. He has been the president of the Association of Washington Tribes for more than ten years. His two-year term begins immediately. The Swinomish Indian Tribal Community is a federally-recognized Indian Tribe. Its 10,000 acre reservation is located on Fidalgo Island in Washington State. This entry was posted in Events and tagged Boldt, Chairman Brian Cladoosby of the Swinomish Tribe on KAOS 89.3 FM, Evergreen Longhouse, Evergreen State College. Bookmark the permalink.